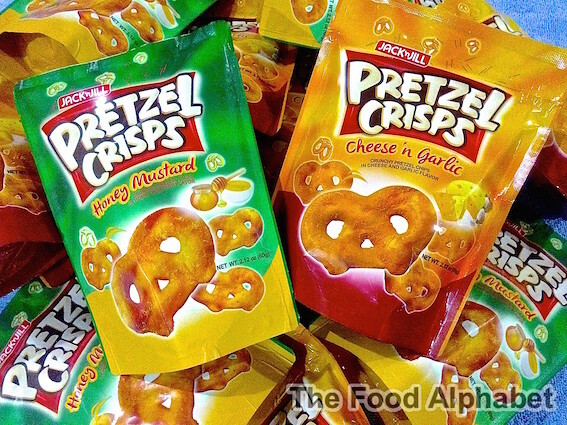 The Food Alphabet and More: Perk up your days and level up everyday adventures with Pretzel Crisps! This new snack from Universal Robina Corp. (URC) puts a spin on the all-time favorite pretzel by making lighter and more crisp than ever before. Take a bite and you'll feel and taste the difference. Pretzel Crisps comes in two new and zesty flavors in Honey Mustard and Cheese 'n Garlic, you'll love every bite. Pretzel Crisps are perfect for life's everyday adventures! Packed in re-sealable bags, these savory snacks can be enjoyed anytime, anywhere. 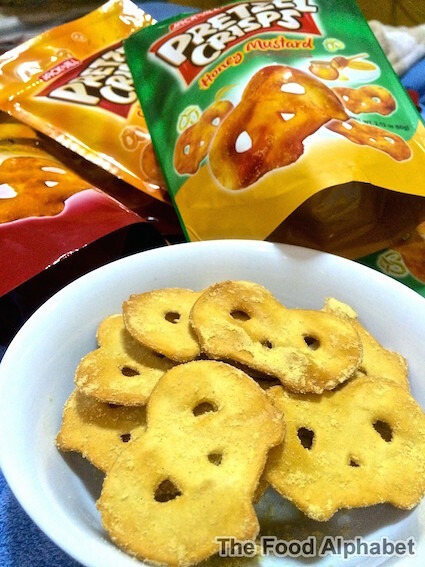 And for only P15.00 (SRP), you'll surely enjoy more bags of fun, adventure and lots more Pretzel Crisps! Grab a bag or two of Jack 'n Jill's Pretzel Crisps and add more fun and excitement to life's adventures with every delightful crunch. Get them at all leading supermarkets and groceries nationwide.